Rightways: Penang landslide, whose faults? 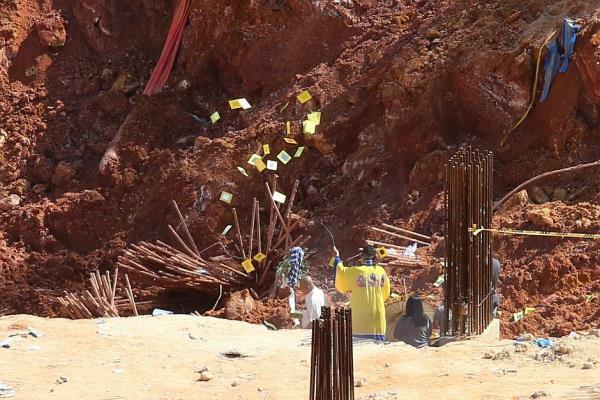 GEORGE TOWN: The Penang Island City Council has lodged a police report against the consultant of the affordable housing project that was hit by a landslide in Tanjung Bungah on Saturday, claiming the lives of 11 workers. This is because the state government wants the matter investigated and the responsible parties to be charged, state Local Government Committee chairman Chow Kon Yeow said. He stressed that the incident was a construction site accident. “We hope the council and other related agencies will give their fullest cooperation to the police,” he told a press conference at Komtar yesterday. 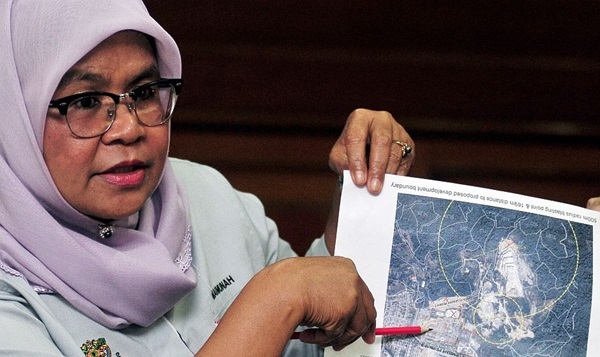 At the same conference, Mayor Datuk Maimunah Mohd Sharif acknowledged that the project was rejected by the Department of Environment (DOE) but said it was approved by the state because it complied with Penang’s Safety Guidelines for Hill Site Development 2012. 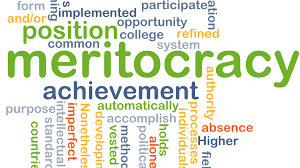 Besides, she said, the DOE had approved a residential project and a private education institution that were even closer to the quarry. “It is located more than 500m from the quarry’s blasting point while federal guidelines only require a minimum distance of 350m. “The project’s site is zoned as ‘general residential’ and the slope gradient is less than 20°. “The land is also less than 76m above sea level with the site located on a contour between 18m and 40m,” she said. Maimunah said that based on all the requirements, the council’s One-Stop Centre (OSC) – which comprises members from more than 20 technical agencies at state and federal level – agreed to approve the project. The OSC is in charge of approving property development plans on the island. “The earthworks planning permission was presented to the OSC on May 14, 2015, and it was approved with conditions on June 6, 2015, while the commencement of work approval was given on Jan 18 last year,” she said. However, the Tanjung Bungah Residents Association was not happy with the reasons given by the council for allowing the project. “How could the council ignore the advice when the DOE is the authority responsible for protecting the environment?” association chairman Meenakshi Raman asked. Penang Island City Council mayor Datuk Maimunah Mohd Sharif telling a press conference that the project met state guidelines. “We feel betrayed ... the state government failed to listen to us,” she said yesterday, commenting on Maimunah’s statements at the press conference. Penang Federal Action Council chairman Datuk Seri Zainal Abidin Osman urged the state government to immediately set up an independent body to audit all approvals of hillslope development projects made by the various state authorities. “The Penang government has to take responsibility and be accountable for the tragedy involving the loss of 11 lives. “We ask it to stop blaming others for any accident which occurred since it became the state government. “We are surprised that a project which was not supported by a technical department was still given approval by the state authority,” he said in a statement. An undertaker (in white) and a priest performing prayers at the scene of the landslide for site supervisor Yuan Kuok Wern, 27, who was killed in the tragedy. The Institution of Engineers Malaysia (IEM) also came forward to offer technical assistance and opinions in the investigation. Its president Dr Tan Yean Chin said in a statement that IEM is recognised locally and internationally as a professional body representing a wide cross-section of the engineering practice. “As a learned society with over 40,000 members and affiliated to several international engineering organisations, IEM is able to offer expert opinions on this tragic event,” he said. The right way: Tang (right) and Penang MCA Public Services and Complaints Bureau deputy chief Tan Eng Hin explaining what really should have been done to conduct a fair inquiry at the MCA headquarters in Penang.